T1 mapping by cardiovascular magnetic resonance is a rapidly evolving method for the quantitative assessment of tissue characteristics in cardiac disease. The myocardial T1 time can be measured without contrast (native T1) or following the administration of intravenous gadolinium-based contrast agent (post-contrast T1). By combining both of these measures, the myocardial extracellular volume fraction can be approximated. This value has been validated histologically in various inherited cardiomyopathies. 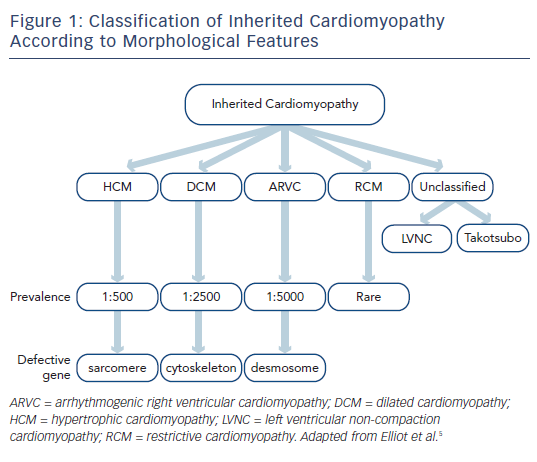 Due to overlapping phenotypes, the diagnosis of inherited cardiomyopathy can at times be challenging. In this article we discuss when T1 mapping may be a useful tool in the differential diagnosis of cardiomyopathy. We also present evidence of when T1 mapping provides incremental risk stratification over other biomarkers. Inherited cardiomyopathies are primary disorders of the heart muscle that have a genetic basis. On long-term follow-up they are associated with adverse outcomes, particularly sudden death, arrhythmia and heart failure.1 The diagnosis is made on the basis of clinical, cardiac imaging (primarily with transthoracic echocardiography) and genetic features,2 ideally by a tertiary inherited cardiac conditions service that involves both cardiologists and clinical geneticists.3 Inherited cardiomyopathies are typically defined according to their imaging findings rather than their genetic basis4,5 and include hypertrophic, dilated, right ventricular, restrictive and unclassified phenotypes (see Figure 1). The pathways that lead from genetic mutation to individual phenotypes of various cardiomyopathies have been studied for the past three decades. In broad terms, alterations within specific components of the cardiac architecture are associated with different cardiomyopathies, for example abnormal function of contractile proteins within the sarcomere is associated with hypertrophic cardiomyopathy (HCM), dysfunction of the link between the sarcomere and cytoskeleton is associated with dilated cardiomyopathy (DCM), and abnormal desmosome function is associated with arrhythmogenic right ventricular cardiomyopathy (ARVC).6 The expressed phenotype can vary dramatically between individuals, however, and mutations within the same gene can lead to different phenotypes. For example, different mutations in the beta-myosin heavy chain can lead to either HCM or DCM.7 Genetic testing should not therefore be used in isolation in the diagnosis of inherited cardiomyopathy and needs to be combined with clinical evaluation and cardiac imaging. A unique property of CMR is that it allows the interrogation of specific myocardial tissue characteristics, particularly the distribution of scar tissue. The presence of focal scarring is most widely assessed by the presence of late gadolinium enhancement (LGE). LGE imaging relies upon the administration of an exclusively extracellular gadoliniumbased contrast agent, which passively accumulates in damaged cells with a leaky cell membrane or areas of extracellular matrix expansion. The pattern of enhancement can aid in the diagnosis of the aetiology of cardiomyopathy as LGE has a characteristic appearance in many conditions.9 For example subendocardial or transmural LGE are seen in ischaemic cardiomyopathy, mid-wall LGE in DCM, patchy LGE in areas of hypertrophy in HCM, and global subendocardial LGE in amyloid cardiomyopathy (see Figure 2). Extracellular fibrosis is a common pathological finding in many inherited cardiomyopathies. CMR to assess LGE is a well-established method by which to assess and quantify the extent of discrete areas of fibrosis. This process relies on the contrast between normal and abnormal myocardium, and a qualitative comparison of enhancement. When the myocardium is diffusely diseased, the LGE technique is limited and qualitative assessment can be insufficient to make a diagnosis. For such diffuse processes, quantitative tissue characterisation methods are available that measure the T1,10 T211 or T2* relaxation times of the myocardium. Extracellular matrix expansion and fibrosis are common pathological findings in many inherited cardiomyopathies.2 The non-invasive assessment of extracellular fibrosis by T1 mapping is therefore a potentially promising tool, in addition to conventional CMR including LGE, in the diagnosis of suspected cardiomyopathy. With T1 and ECV mapping the extent of diffuse fibrosis in HCM can be quantified. Extracellular matrix expansion is one of the histological hallmarks of the disease process, and can be detected using quantitative T1 and ECV mapping techniques. Results demonstrate a good correlation with histological fibrosis quantification from specimens taken at the time of surgical myomectomy.14 One study has reported a correlation between post-contrast T1 time and histological degree of fibrosis in HCM hearts explanted at the time of transplant.25 However, in this study ECV (which is better validated than post-contrast T1 time) was not calculated, the sample size was small (four HCM necropsy specimens) and there was a long interval between the CMR and surgical explant. Excluding alternative causes of hypertrophy of the left ventricle is fundamental to making a diagnosis of HCM and is often clinically challenging. Several of these “phenocopies” have a particular pattern on T1 mapping that could be clinically useful in differentiating them from HCM (see Figure 3). Cardiac amyloidosis is associated with progressive infiltration of the heart by extracellular amyloid protein resulting in hypertrophy of the left and right ventricles, interatrial septum and the atrioventricular valves. Given that this disease process involves pathological expansion of the extracellular space by amyloid protein, it is logical that both the native T1 value and ECV can be substantially raised in this condition.33–35 Patients with the highest native T1 value and ECV appear to have the greatest cardiac involvement and worst clinical outcomes.36 The typically very high native T1 value and ECV contributes to the differentiation of amyloidosis from HCM. In addition, the hypertrophy and fibrosis are more global in cardiac amyloidosis compared with the usually more regional hypertrophy in HCM. DCM involves pathological dilatation and impairment of the left ventricle in the absence of abnormal loading conditions or ischaemic heart disease. A causative mutation can be found in around a third of patients with familial DCM.2 More than 40 causative genes, many of which relate to the cytoskeleton, have been identified.2 Mutation of these genes leads to loss of cardiomyocyte contractility, ultimately with the common pathophysiological end-point of cell death and fibrotic replacement. ARVC is characterised by fibrofatty replacement of the right and sometimes left ventricles, which predisposes individuals to ventricular arrhythmia. Around half of ARVC cases are familial and the condition is typically caused by mutations affecting the desmosome.2 The diagnosis of ARVC is made by a combination of clinical, electrocardiographic, histological and imaging features.50 The diagnostic imaging features are regional right ventricular akinesia, dyskinesia or dyssynchrony in addition to dilation or impairment of function. In theory it might be possible to diagnose the fibrofatty replacement that is characteristic of ARVC as a shortened native T1 time; however the thin wall of the right ventricle poses important challenges and makes T1 mapping more susceptible to partial volume effects. Familial restrictive cardiomyopathy is rare and is defined by a restrictive filling pattern on echocardiography. This phenotype may be caused by end-stage HCM or DCM, or can be caused by systemic diseases such as amyloidosis, sarcoidosis, carcinoid heart disease or scleroderma. T1 mapping could potentially be used as outlined previously to exclude alternative causes of left ventricular hypertrophy. T1 mapping is evolving as a useful clinical tool in the identification and diagnosis of inherited cardiomyopathy and it may have a future role in establishing the natural history of fibrosis progression in inherited cardiomyopathies and the timing of appropriate interventions. It is becoming particularly well established in the investigation of patients with unexplained left ventricular hypertrophy. The optimal pulse sequence for T1 mapping is yet to be established, and standardisation remains an important aim. Standardised acquisition would also facilitate the publication of generally applicable normal ranges to facilitate more widespread use of T1 mapping in clinical practice and research. In the future, CMR sequences with shortened breath-holds or free breathing acquisition will be available to improve utility in patients with symptoms of dyspnoea. Sequences with improved spatial resolution will also aid in the investigation of T1 indices in thinned regions of myocardium, as in cases of ARVC and LVNC. The prognostic importance of T1 indices over more commonly used imaging parameters such as wall thickness in HCM or ejection fraction in DCM remains to be established. Large prospective multicentre registries and trials are required to answer these questions and are awaited in the coming years. Raju H, Alberg C, Sagoo GS, et al. Inherited cardiomyopathies. BMJ 2011;343:d6966. Watkins H, Ashrafian H, Redwood C. Inherited cardiomyopathies. N Engl J Med 2011;364:1643–56. Burton H, Alberg C, Stewart A. Mainstreaming genetics: a comparative review of clinical services for inherited cardiovascular conditions in the UK. Public Health Genomics 2010;13:235–45. Maron BJ, Towbin JA, Thiene G, et al. Contemporary definitions and classification of the cardiomyopathies: an American Heart Association Scientific Statement from the Council on Clinical Cardiology, Heart Failure and Transplantation Committee; Quality of Care and Outcomes Research and Functional Genomics and Translational Biology Interdisciplinary Working Groups; and Council on Epidemiology and Prevention. Circulation 2006;113:1807–16. Elliott P, Andersson B, Arbustini E, et al. Classification of the cardiomyopathies: a position statement from the European Society Of Cardiology Working Group on Myocardial and Pericardial Diseases. Eur Heart J 2008;29:270–6. Towbin JA. Inherited cardiomyopathies. Circ J 2014;78: 2347–56. Kamisago M, Sharma SD, DePalma SR, et al. Mutations in sarcomere protein genes as a cause of dilated cardiomyopathy. N Engl J Med 2000;343:1688–96. Ponikowski P, Voors AA, Anker SD, et al. ; Authors/Task Force Members. 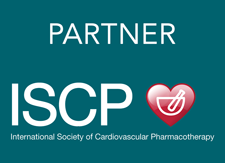 2016 ESC Guidelines for the diagnosis and treatment of acute and chronic heart failure: The Task Force for the diagnosis and treatment of acute and chronic heart failure of the European Society of Cardiology (ESC) Developed with the special contribution of the Heart Failure Association (HFA) of the ESC. Eur Heart J 2016;37:2129–200. Mahrholdt H, Wagner A, Judd RM, et al. Delayed enhancement cardiovascular magnetic resonance assessment of non-ischaemic cardiomyopathies. Eur Heart J 2005;26:1461–74. Messroghli DR, Radjenovic A, Kozerke S, et al. Modified Look-Locker inversion recovery (MOLLI) for high-resolution T1 mapping of the heart. Magn Reson Med 2004;52:141–6. Verhaert D, Thavendiranathan P, Giri S, et al. Direct T2 quantification of myocardial edema in acute ischemic injury. JACC Cardiovasc Imaging 2011;4:269–78. Roujol S, Weingartner S, Foppa M, et al. Accuracy, precision, and reproducibility of four T1 mapping sequences: a head-tohead comparison of MOLLI, ShMOLLI, SASHA, and SAPPHIRE. Radiology 2014;272:683–9. Iles L, Pfluger H, Phrommintikul A, et al. Evaluation of diffuse myocardial fibrosis in heart failure with cardiac magnetic resonance contrast-enhanced T1 mapping. J Am Coll Cardiol 2008;52:1574–80. Flett AS, Hayward MP, Ashworth MT, et al. Equilibrium contrast cardiovascular magnetic resonance for the measurement of diffuse myocardial fibrosis: preliminary validation in humans. Circulation 2010;122:138–44. Miller CA, Naish JH, Bishop P, et al. 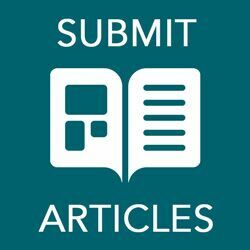 Comprehensive validation of cardiovascular magnetic resonance techniques for the assessment of myocardial extracellular volume. Circ Cardiovasc Imaging 2013;6:373–83. Raman FS, Kawel-Boehm N, Gai N, et al. Modified looklocker inversion recovery T1 mapping indices: assessment of accuracy and reproducibility between magnetic resonance scanners. J Cardiovasc Magn Reson 2013;15:64. Moon JC, Messroghli DR, Kellman P, et al. Myocardial T1 mapping and extracellular volume quantification: a Society for Cardiovascular Magnetic Resonance (SCMR) and CMR Working Group of the European Society of Cardiology consensus statement. J Cardiovasc Magn Reson 2013;15:92. Elliott PM, Anastasakis A, Borger MA, et al. 2014 ESC Guidelines on diagnosis and management of hypertrophic cardiomyopathy: The Task Force for the Diagnosis and Management of Hypertrophic Cardiomyopathy of the European Society of Cardiology (ESC). Eur Heart J 2014;35:2733–79. Gersh BJ, Maron BJ, Bonow RO, et al. 2011 ACCF/AHA guideline for the diagnosis and treatment of hypertrophic cardiomyopathy: executive summary: a report of the American College of Cardiology Foundation/American Heart Association Task Force on Practice Guidelines. Circulation 2011;124:2761–96. Bos JM, Towbin JA, Ackerman MJ. Diagnostic, prognostic, and therapeutic implications of genetic testing for hypertrophic cardiomyopathy. J Am Coll Cardiol 2009;54:201–11. Klues HG, Schiffers A, Maron BJ. Phenotypic spectrum and patterns of left ventricular hypertrophy in hypertrophic cardiomyopathy: morphologic observations and significance as assessed by two-dimensional echocardiography in 600 patients. J Am Coll Cardiol 1995;26:1699–708. Maron MS, Maron BJ, Harrigan C, et al. Hypertrophic cardiomyopathy phenotype revisited after 50 years with cardiovascular magnetic resonance. J Am Coll Cardiol 2009;54:220–8. Rudolph A, Abdel-Aty H, Bohl S, et al. Noninvasive detection of fibrosis applying contrast-enhanced cardiac magnetic resonance in different forms of left ventricular hypertrophy relation to remodeling. J Am Coll Cardiol 2009;53:284–91. Moon JC, Reed E, Sheppard MN, et al. 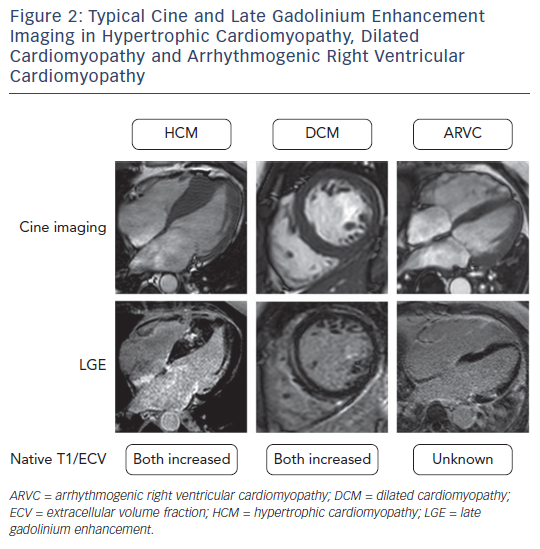 The histologic basis of late gadolinium enhancement cardiovascular magnetic resonance in hypertrophic cardiomyopathy. J Am Coll Cardiol 2004;43:2260–4. Iles LM, Ellims AH, Llewellyn H, et al. Histological validation of cardiac magnetic resonance analysis of regional and diffuse interstitial myocardial fibrosis. Eur Heart J Cardiovasc Imaging 2015;16:14–22. Puntmann VO, Voigt T, Chen Z, et al. Native T1 mapping in differentiation of normal myocardium from diffuse disease in hypertrophic and dilated cardiomyopathy. JACC Cardiovasc Imaging 2013;6:475–84. Dass S, Suttie JJ, Piechnik SK, et al. Myocardial tissue characterization using magnetic resonance noncontrast t1 mapping in hypertrophic and dilated cardiomyopathy. Circ Cardiovasc Imaging 2012;5:726–33. Kellman P, Wilson JR, Xue H, et al. Extracellular volume fraction mapping in the myocardium, part 2: initial clinical experience. J Cardiovasc Magn Reson 2012;14:64. Hinojar R, Varma N, Child N, et al. 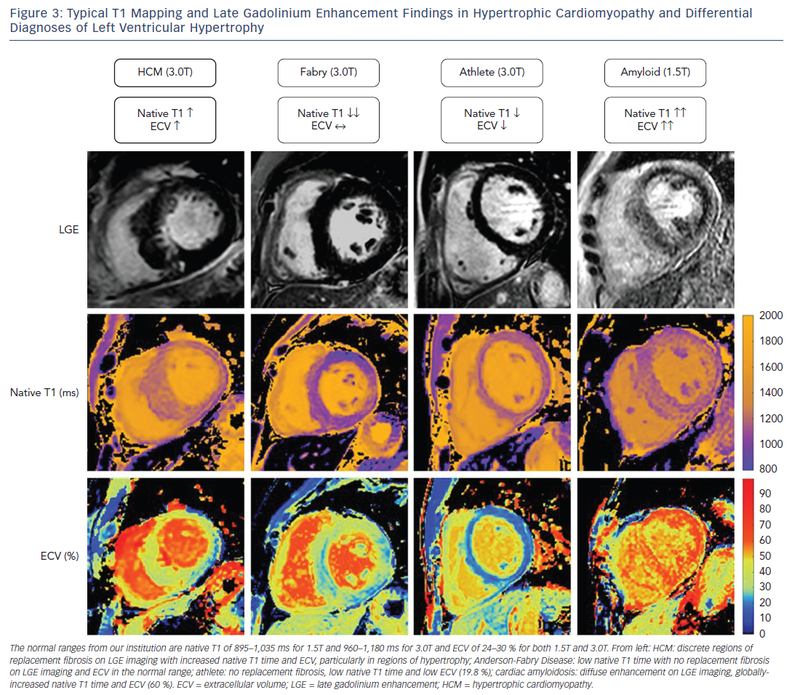 T1 mapping in discrimination of hypertrophic phenotypes: hypertensive heart disease and hypertrophic cardiomyopathy: findings from the International T1 Multicenter Cardiovascular Magnetic Resonance Study. Circ Cardiovasc Imaging 2015;8:e003285. Kato S, Nakamori S, Bellm S, et al. Myocardial native T1 time in patients with hypertrophic cardiomyopathy. Am J Cardiol 2016;118:1057–62. Fontana M, Barison A, Botto N, et al. CMR-verified interstitial myocardial fibrosis as a marker of subclinical cardiac involvement in LMNA mutation carriers. JACC Cardiovasc Imaging 2013;6:124–6. Ho CY, Abbasi SA, Neilan TG, et al. T1 measurements identify extracellular volume expansion in hypertrophic cardiomyopathy sarcomere mutation carriers with and without left ventricular hypertrophy. Circ Cardiovasc Imaging 2013;6:415–22. Fontana M, Banypersad SM, Treibel TA, et al. Native T1 mapping in transthyretin amyloidosis. JACC Cardiovasc Imaging 2014;7:157–65. Banypersad SM, Sado DM, Flett AS, et al. Quantification of myocardial extracellular volume fraction in systemic AL amyloidosis: an equilibrium contrast cardiovascular magnetic resonance study. Circ Cardiovasc Imaging 2013;6:34–9. Karamitsos TD, Piechnik SK, Banypersad SM, et al. Noncontrast T1 mapping for the diagnosis of cardiac amyloidosis. JACC Cardiovasc Imaging 2013;6:488–97. Banypersad SM, Fontana M, Maestrini V, et al. T1 mapping and survival in systemic light-chain amyloidosis. Eur Heart J 2015;36:244–51. Sado DM, White SK, Piechnik SK, et al. Identification and assessment of Anderson-Fabry disease by cardiovascular magnetic resonance noncontrast myocardial T1 mapping. Circ Cardiovasc Imaging 2013;6:392–8. Pica S, Sado DM, Maestrini V, et al. Reproducibility of native myocardial T1 mapping in the assessment of Fabry disease and its role in early detection of cardiac involvement by cardiovascular magnetic resonance. J Cardiovasc Magn Reson 2014;16:99. McDiarmid AK, Swoboda PP, Erhayiem B, et al. Athletic cardiac adaptation in males is a consequence of elevated myocyte mass. Circ Cardiovasc Imaging 2016;9:e003579. Kuruvilla S, Janardhanan R, Antkowiak P, et al. Increased extracellular volume and altered mechanics are associated with LVH in hypertensive heart disease, not hypertension alone. JACC Cardiovasc Imaging 2015;8:172–80. Treibel TA, Zemrak F, Sado DM, et al. Extracellular volume quantification in isolated hypertension – changes at the detectable limits? J Cardiovasc Magn Reson 2015;17:74. Gulati A, Jabbour A, Ismail TF, et al. Association of fibrosis with mortality and sudden cardiac death in patients with nonischemic dilated cardiomyopathy. JAMA 2013;309: 896–908. Ugander M, Oki AJ, Hsu LY, et al. Extracellular volume imaging by magnetic resonance imaging provides insights into overt and sub-clinical myocardial pathology. Eur Heart J 2012;33:1268–78. aus dem Siepen F, Buss SJ, Messroghli D, et al. T1 mapping in dilated cardiomyopathy with cardiac magnetic resonance: quantification of diffuse myocardial fibrosis and comparison with endomyocardial biopsy. Eur Heart J Cardiovasc Imaging 2015;16:210–6. Sado DM, Maestrini V, Piechnik SK, et al. Noncontrast myocardial T1 mapping using cardiovascular magnetic resonance for iron overload. J Magn Reson Imaging 2015;41:1505–11. Mordi I, Carrick D, Bezerra H, et al. T1 and T2 mapping for early diagnosis of dilated non-ischaemic cardiomyopathy in middle-aged patients and differentiation from normal physiological adaptation. Eur Heart J Cardiovasc Imaging 2016;17:797–803. Wong TC, Piehler K, Meier CG, et al. Association between extracellular matrix expansion quantified by cardiovascular magnetic resonance and short-term mortality. Circulation 2012;126:1206–16. Marcus FI, McKenna WJ, Sherrill D, et al. Diagnosis of arrhythmogenic right ventricular cardiomyopathy/dysplasia: proposed modification of the Task Force Criteria. Eur Heart J 2010;31:806–14. Towbin JA, Lorts A, Jefferies JL. Left ventricular noncompaction cardiomyopathy. Lancet 2015;386:813–25. Petersen SE, Selvanayagam JB, Wiesmann F, et al. Left ventricular non-compaction: insights from cardiovascular magnetic resonance imaging. J Am Coll Cardiol 2005;46:101–5. Zhou H, Lin X, Fang L, et al. Characterization of compacted myocardial abnormalities by cardiac magnetic resonance with native T1 mapping in left ventricular non-compaction patients – a comparison with late gadolinium enhancement. Circ J 2016;80:1210–6. Spinelli L, Trimarco V, Di Marino S, et al. L41Q polymorphism of the G protein coupled receptor kinase 5 is associated with left ventricular apical ballooning syndrome. Eur J Heart Fail 2010;12:13–6. Figtree GA, Bagnall RD, Abdulla I, et al. No association of G-protein-coupled receptor kinase 5 or beta-adrenergic receptor polymorphisms with Takotsubo cardiomyopathy in a large Australian cohort. Eur J Heart Fail 2013;15:730–3. Ferreira VM, Piechnik SK, Dall’Armellina E, et al. Noncontrast T1-mapping detects acute myocardial edema with high diagnostic accuracy: a comparison to T2-weighted cardiovascular magnetic resonance. J Cardiovasc Magn Reson 2012;14:42.